After the inaugural JENSEN Performance Days held in Mallorca at the end of May, CEO Preston McElheney underlined that even more. 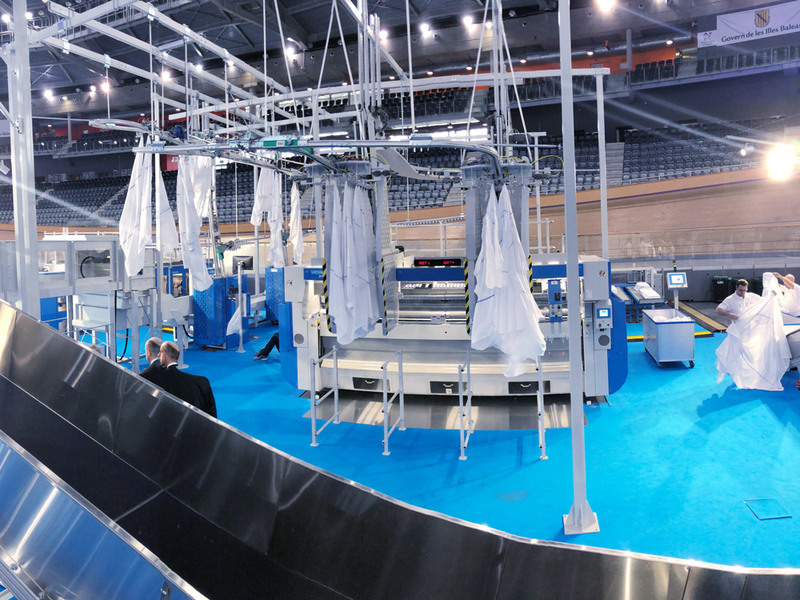 When Mr McElheney entered Palma Arena, he immediately eyed the JENRAIL system on show, and within days a new link between JENSEN and Halifax Linen Service was made. “I had already placed a large order with JENSEN when I arrived in Mallorca for the JENSEN Performance Days, so I told them, that I did not want to see any surprises. However, I certainly did - and in a good way. To say that I like what I saw in the new Jenrail feeding system is an understatement. The team did a fantastic job of showing the possibilities. I just saw it, and then I knew that this was what we were looking for," laughs Preston McElheney. 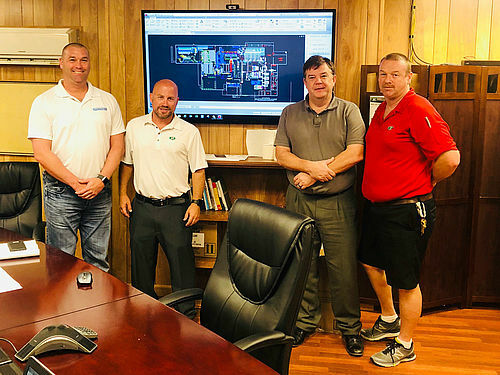 With the new setup at Halifax Linen Service, the sheets will be fed in the Jenrail Express stations with a rate of up to 550 pieces per operator per hour, while the three Jenrail Twin Stations will handle the table linen to ensure the best possible quality. After feeding, the different kinds of linen will pass through the same system for ironing and folding, and a buffering arrangement secures a stable production that is less vulnerable when it comes to breaks and halts. "The Jenrail System allows us to consolidate the processes into a production line that is capable of handling all the textiles automatically. 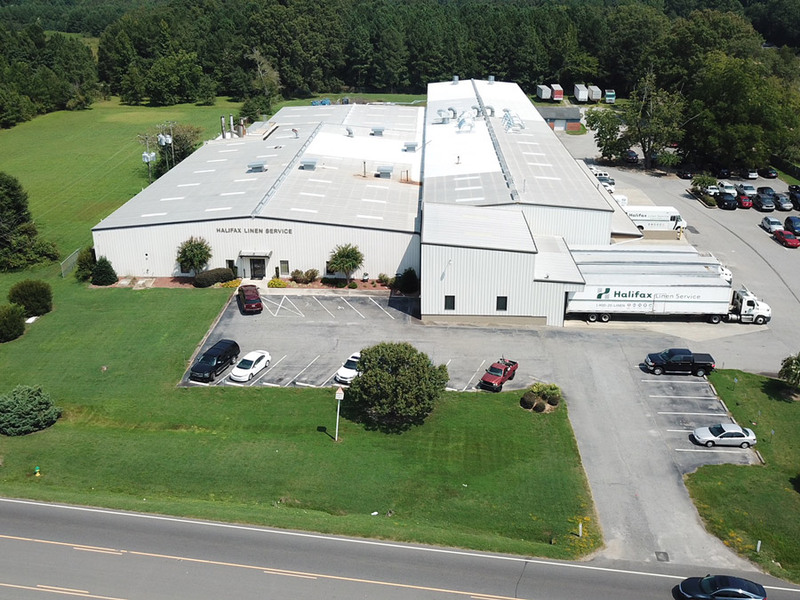 The flexibility is tremendous, and it allows us to feed different items like sheets, tablecloths and fitted sheets in one system," Preston McElheney explains. The investments at Halifax is made to optimise the production line further to keep the company's growth rate at 12-15 percent a year and still be able to live up to the promises made to the customers. Halifax Linen guarantees 24-hour response time and automatic handling of the inventory where damaged or lost items are replaced so the customer will always receive the items they need in time. That calls for a high capacity setup, where the sensibility to breaks and halts in the production is minimized. 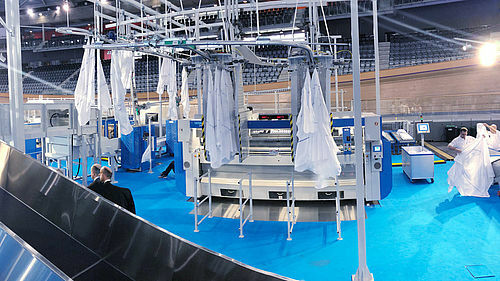 "After washing everything, the process is automated in a way that means the only human interaction needed is when the bundles are loaded into the carts with our automatic route commissioning. The new system gives us full control of our inventory and of the quality. Because it’s chipped we will know when an item is passing the max number of washes, and then it will automatically be kicked out of the system," Preston McElheney says. Monitoring of the inventory with the use of RFID began at Halifax Linen Services in 2005, and in 2012 the last pieces were chipped. Moreover, while the customers found the idea far-fetched in the beginning, everything has changed since today. "Everybody thought that I was crazy when we introduced radio frequency in 2005, but time has proven that we made the right decision and being a first-mover is part of our DNA. Until now we have used RFID with focus on the service to the customers, and the next step is to optimize the plant based on the opportunities we have with RFID. The market is always changing. We need the flexibility achievable through automation and tracking," the CEO of Halifax Linen tells. "We have waited until the technology was ripe and met the demand of the marked. That has happened now, and JENSEN has worked for several years to design a system that integrates the RFID-reading and bundling with a linen storage solution. I have to say that the entire team at JENSEN has stepped up and shown a commitment far beyond the price of the equipment. That is greatly appreciated from Halifax Linen and the McElheney family." 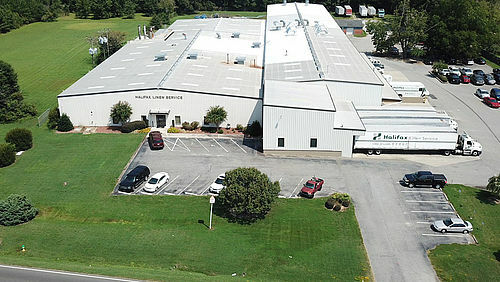 Halifax Linen Service - originally named Halifax Laundry - was founded in 1946 and has been providing textile services to the medical and business industry for over half a century. 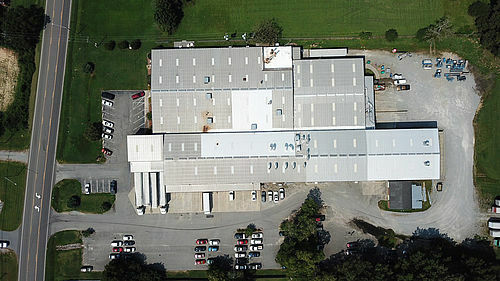 Since then the company is have expanded and updated several times to become one of the largest ultramodern textile production facilities on the East Coast.